It is known as the festival of colors and it is unlike anything you’ve ever seen. Holi is a festival of color that takes places across India but nowhere celebrates the Holi festival with more spirit than Mathura, the birthplace of Krishna.The colors bring a lot of positivity in our lives and spending this time with loved ones is a cherry on top. People throw colored powder(gulal) through the air covering everyone with hues of the rainbow. Everyone looks the same as their skin is coated with red and green and yellow creating a feeling of inclusiveness. You can purchase powders from vendors on the street, but even if you don’t, you’ll be covered in powder regardless. Holi knows no bars, Holi knows no boundaries too. Across the world wherever Indians or people of Indian origin are present Holi is celebrated with gusto and bonhomie. People play with colors, light a bonfire called Holika and celebrate the victory of good over evil. Well, the essence of any festival is to take a break from the daily humdrum of life and make it interesting. The other major intention of celebrating the festival is to bring people together and generate a feeling of brotherhood and spread harmony all around. 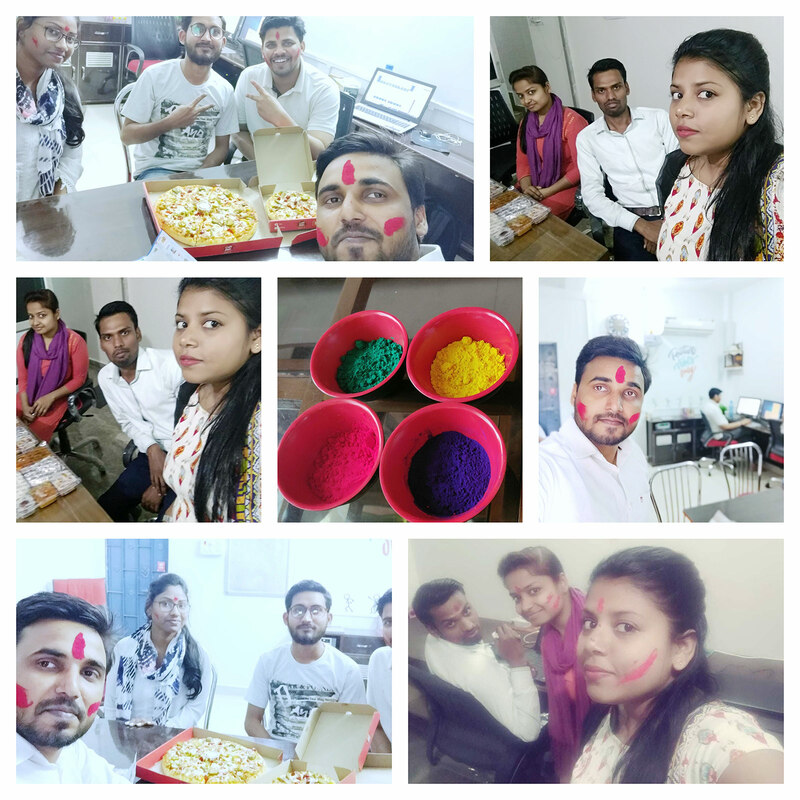 How we celebrated the Holi this year? SLICEmyPAGE have such a wonderful bunch of dedicated people who are always ready for their work and celebrate each festival with great enthusiasm. 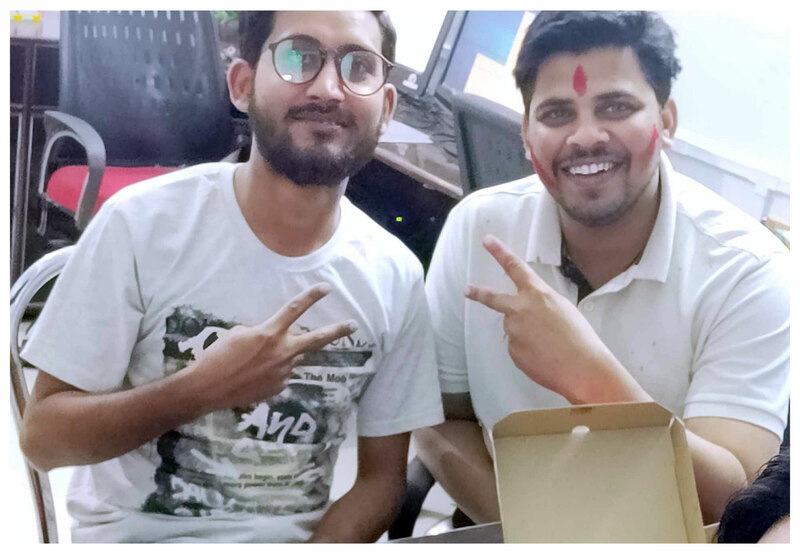 Here is the glimpse, how we celebrated this festival in our office. Many colorful and vivid activities develops special importance for Holi and its celebration. People merrily follow all Holi traditions and rituals. 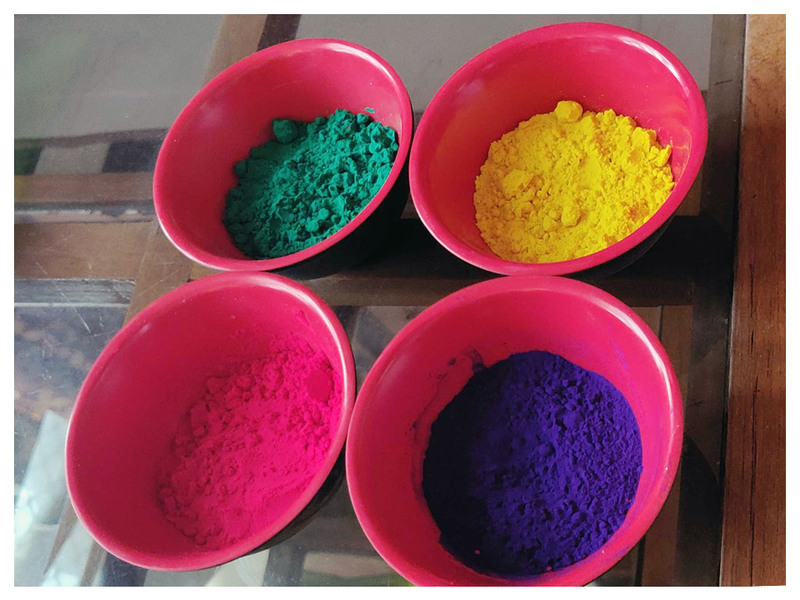 Holi celebrations are not only confined to performance of rituals but also there are so many fun-filled activities which makes Holi worth memorable. The traditional dress code for Holi festivities has always been white that’s why we announced white wear as dress code. Festive decor doesn’t have to mean expensive. It could be as simple as a display of gulal in the bowl. String up bright balloons and paper buntings/ribbons across cubicles and enjoyed a lot while playing holi and throw colored powder on others. On Holi, various mouth watering delicacies are prepared and the most common is ‘gujiya’ which is stuffed with lots of dry fruits. Delicious Holi lunch is one of the biggest highlights of the festival. No office is going to okay a raucous party with colors and loud music. We ordered food from the restaurant. 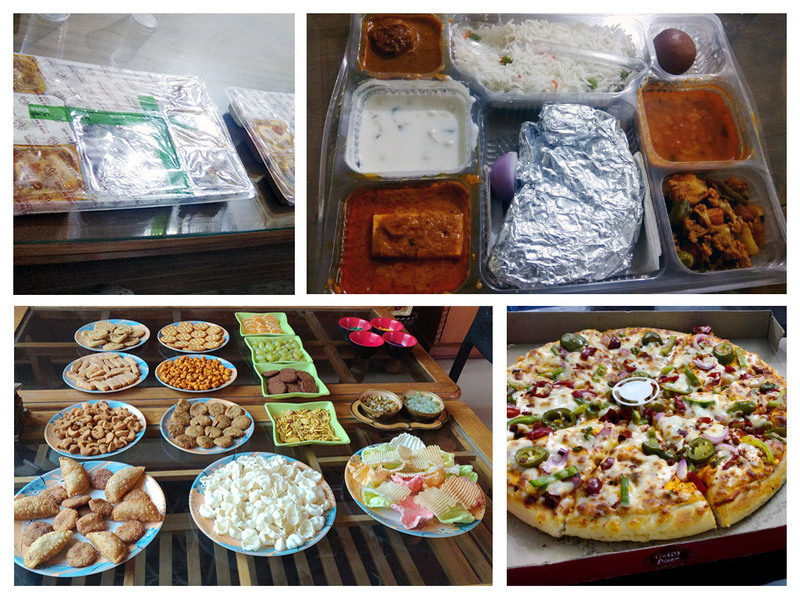 A food menu consisting of things like: Laccha paratha, paneer butter masala, mix vegetable, kofta, rice, salad, raita and sweet dish. 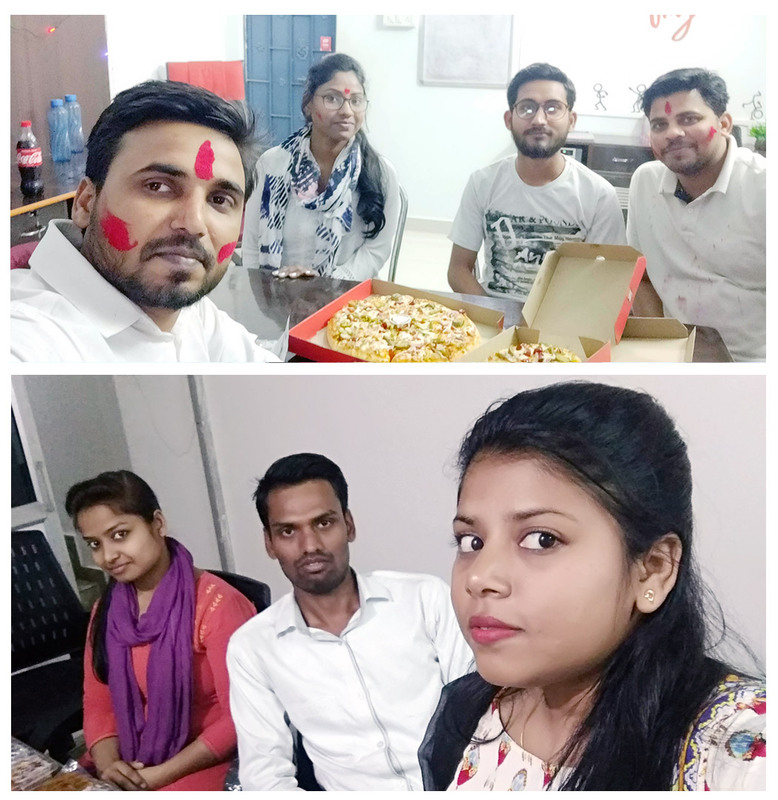 After that we organised the pizza and coke party and enjoy party with music and dance because holi party is incomplete without loud music and Holi themed songs playing in the background!! Make it a day to remember by setting up a small photoshoot in our office. We have taken lots of selfies and photographs with different poses and make videos for fun and a pile of masks, mooches (mustaches) and pouts to add to the fun. The festival of Holi is a day to forgive and forget and to try and end conflicts. Could there be a better day to make peace amongst teams and people who are at loggerheads in the office.It’s easier said than done but sending out the message may help break the ice. Holi reveals the wackiest best of the people. For a day people just forget themselves and simply have fun – all responsibilities are owed to the spirit of the festival. And, if anybody stares or give strange expressions, the answer is ready too. “Bura na mano Holi hai”, is the refrain that is on everybody’s lips. I hope you enjoyed holi as much as we enjoyed.